Welcome to Rosaria! 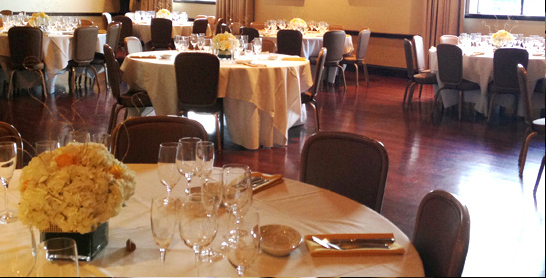 We would be delighted to help plan your special event. Our function facility, private dining room and patio, combine the elegance and uniqueness of our restaurant with the privacy and independence of your special occasion, complete with a dedicated event staff. Your event is very unique. At Rosaria, we will help you plan your event by meticulously addressing every detail and providing attentive service, enabling you to focus solely on your guests. We will do whatever is necessary to make your event most unique and memorable. Our fine cuisine, exquisite buffets, delightful desserts and array of beverage options are prepared by our chef and served by a most attentive professional staff. Inquire about a private event!